Consider The Sauce has not had the pleasure of trying The Art Of Fried Chicken at the any of the truck operation’s various locations, though the feedback on its Facebook page certainly makes us look forward to that day. Now it seems this arty crew is going bricks-and-mortar, with a photo of the above premises posted as the location on the aforementioned FB page. 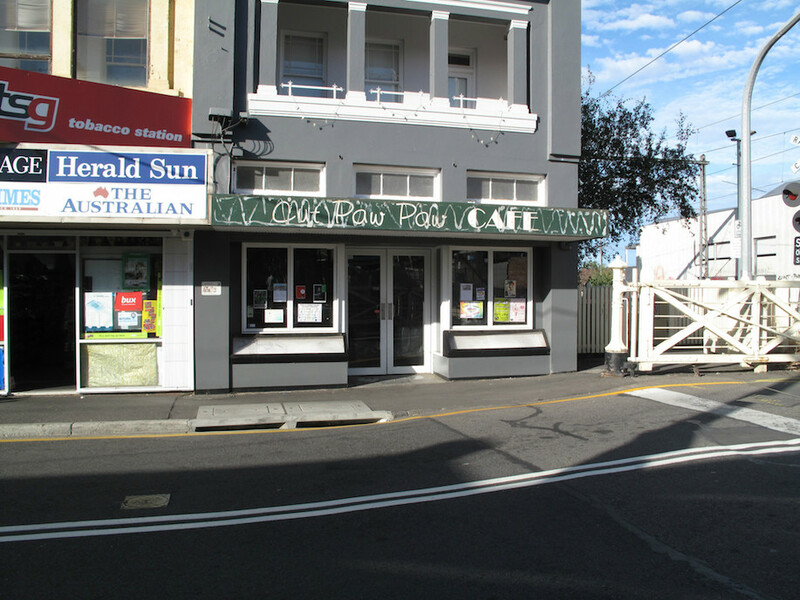 It is, of course, the former Racecourse Road home of the original Laksa King and a couple of other places. 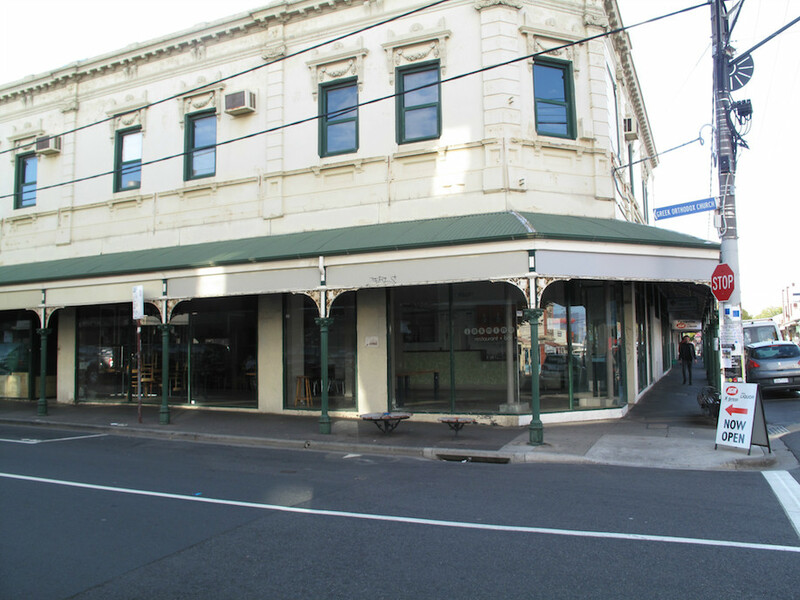 These Flemington premises have long been dormant. How those poultry plans for the venue square with the planning application – for a seven-storey building – attached to the building remains to be seen! On Lacy Street in Braybrook, what was once West Of Kin has morphed into Mr Brooks Stonegrill & Bar. I have yet to check out the menu, so know no more than can been viewed at the joint’s Facebook page. At Wyndham Harbour in Werrribee South, there are now boats in the marina – though there’s room for heaps more. 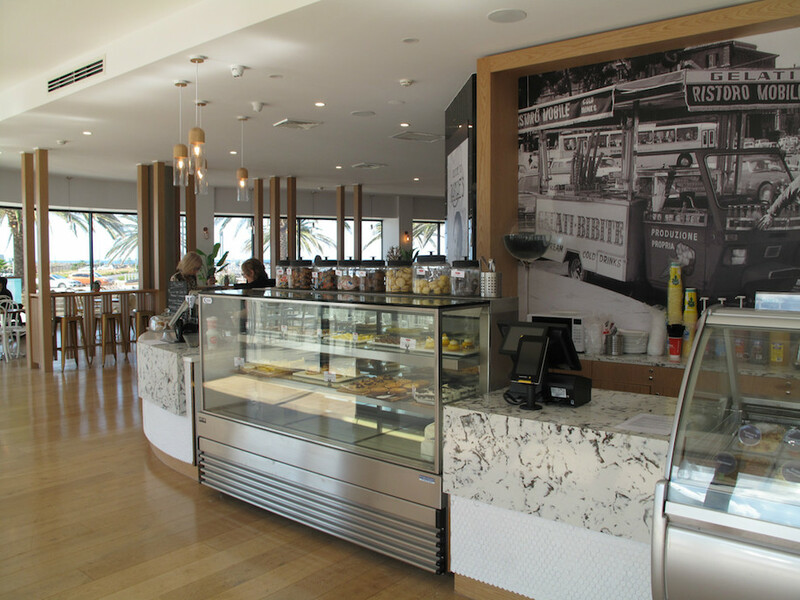 The role of catering to the eat/drink needs of residents and visitors has been assumed by Ramaes Cafe and Sam’s Catch Fish ‘N’ Chippery, which appear to be under the same management and share the same kitchen. They opened on Good Friday, so are still finding their feet. My chips were excellent and the calamari fine. 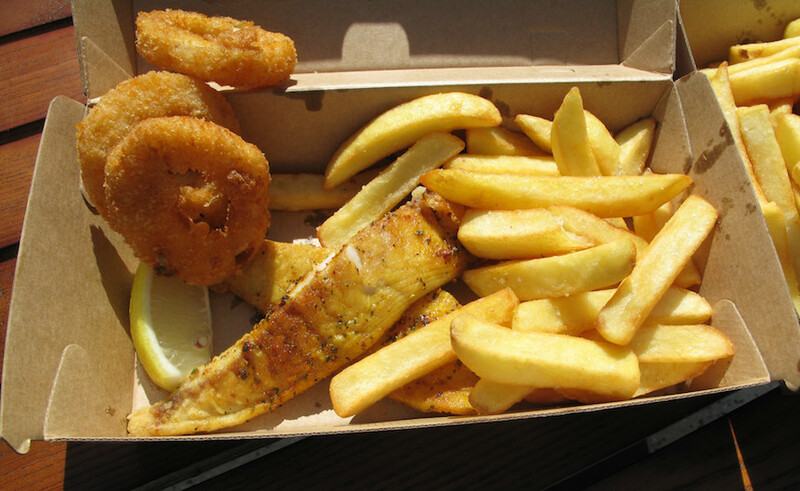 Catch of the day – trevally – was delivered grilled instead of the requested fried and was a small serve. 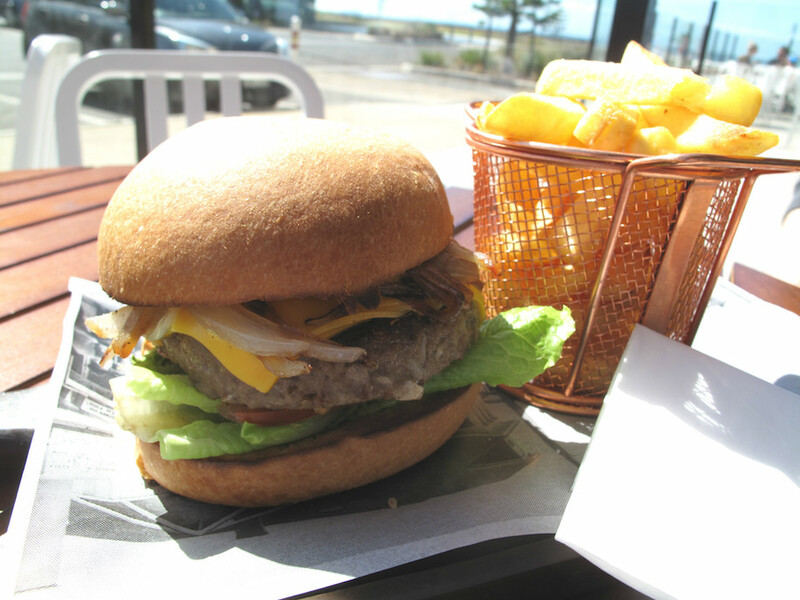 Bennie’s burger certainly looked the part. Sadly, the patty had the distinctive taste that inevitably goes with the sort of sausage meat-style burger sourced from a supermarket or catering supplier. A few minutes after we’d finished our lunch, I was kicking myself for not remembering there’s these days another option at Wyndham Harbour. Ohana Pizza is laid out further out on the marina proper, with a container constituting the pizza oven, prep area and servery; two more containers containing tables and chairs; and more seating found in the quadrangle thus formed. According to the outfit’s Facebook page, because of the vulnerability to harsh weather, business hours can be variable – especially, no doubt, with winter coming on. But on a windless, cloudless Easter Saturday, it was a superb, beautiful setting – a mix of class and rusticity. 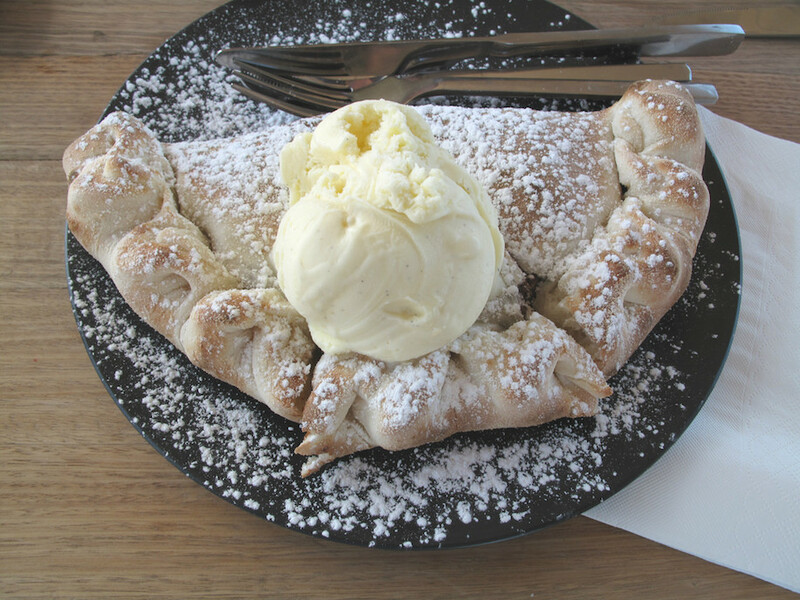 … and our Nutella calzone, with a big scoop of Jock’s vanilla ice cream, did us good. Our two lattes were strong and excellent. 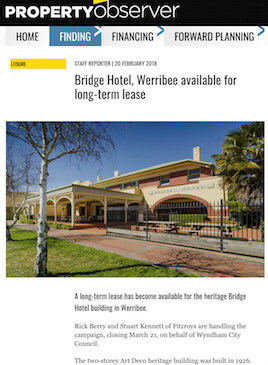 In Werribee township itself, Wyndham council is seeking a long-term tenant to take over the historic Bridge Hotel on Watton Street. 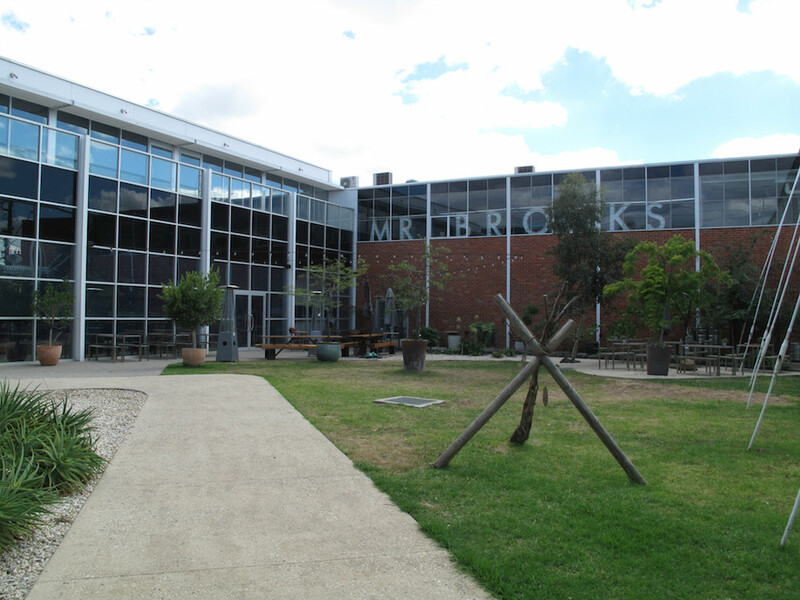 Happenings at a couple of other major western suburbs venues in recent years tend to strongly suggest that finding a tenant with the both financial wherewithal and resources necessary AND the ability to put heart and soul into such a venue is very tricky indeed. 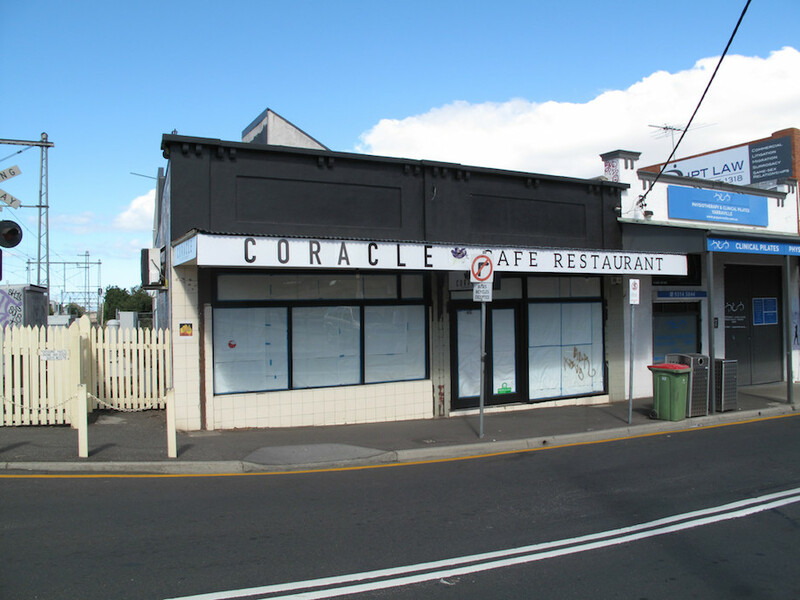 In Yarraville, what was once – and for very many years – Happy Four Chinese Restaurant is being transformed into Coracle Cafe Restaurant. That’s all we know so far, as we haven’t seen any obvious activity or anyone we could question. 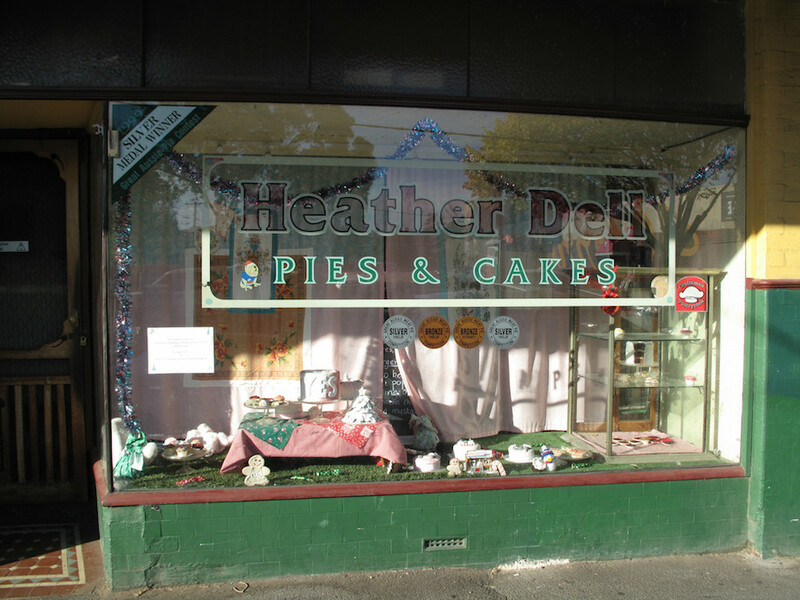 Also on Anderson Street, the venerable bakery and pie shop Heather Dell has closed. 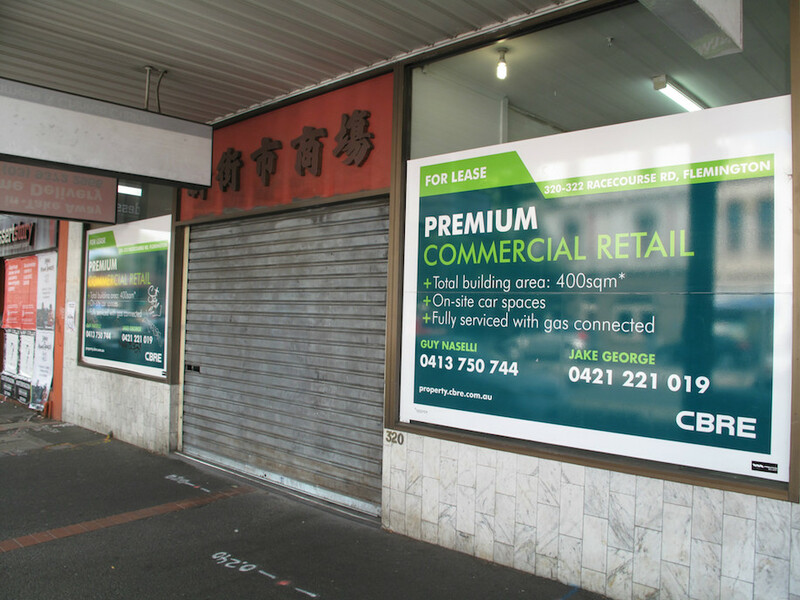 On the corner of Anderson and Ballarat streets, the “for lease” signs have been taken down from the former home of Jasmine Inn. Whether that means a tenant has been found, the owner(s) were asking too much or none of the above, I know not. 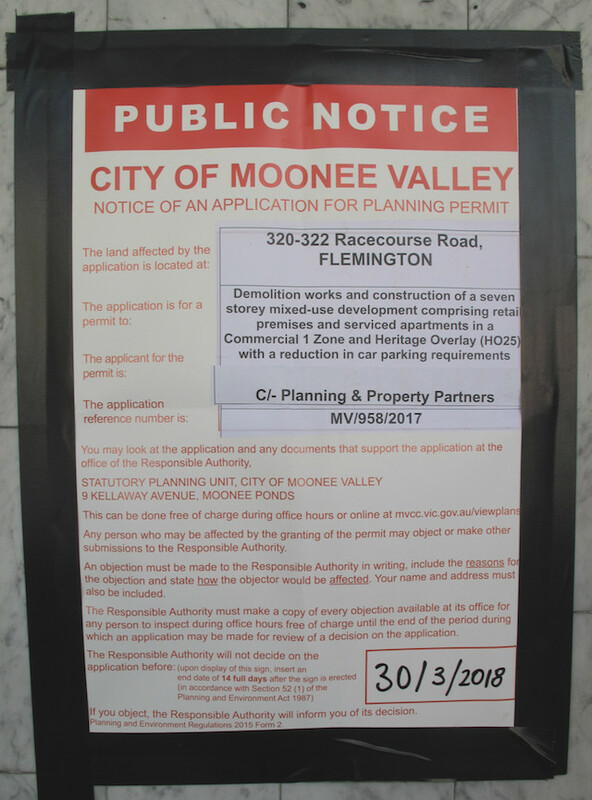 Finally, the latest whisper I have heard suggests that another Anderson Street premises, the former home of the Mad Moose pizza operation right next to the rail line, is destined to become sort of Mexican eatery. I’m still getting over the sudden closure of Siam Orchid in Williamstown, without doubt the best of all the Thai eateries in and around Willi, although the replacement, Madame K’s vegetarian restaurant is rumored to be VERY good, also. Whats happening in afro joint flem? Is it still renovation going on in deli afro restaurant!